The Religious Land Use and Institutionalized Persons Act - Resnick Law, P.C. Freedom of religion is one of the most protected rights in the United States. Among the laws that uphold this right are the First Amendment, which prohibits the government from making any law advocating or inhibiting the practice of religion. The Federal government has also passed several other laws that are designed to protect religious freedom, which include the Religious Land Use and Institutionalized Persons Act (RLUIPA). Because this law is particularly complicated, an overview of the basics of this law and how it affects Americans will follow below. Congress created RLUIPA to address the need for expanded religious protection in the area of land use. RLUIPA helps to increase the ability of religious institutions to exercise their objectives without facing restrictions when it comes to the use of their property. The lawmakers who made this law argued that religious assemblies are unable to function without a physical space adequate to their needs and religious requirements. RLUIPA also helps to protect the right to religious exercise for institutionalized people. Because institutionalized individuals were often denied the chance to practice their religious beliefs, Congress wanted to make sure that there is a sufficient number of opportunities to do so. RLUIPA’s institutionalized persons provisions are designed to keep officials from placing arbitrary restrictions on the practice of religious beliefs. Prisoners lose certain rights upon their imprisonment, but always maintain First Amendment rights. RLUIPA, however, prohibits regulations that impose a substantial burden on prisoners’ religious exercise. Regulations that are classified as a substantial burden are only permitted if the government is able to meet the standard that the regulations are the least restrictive way to achieve a compelling interest. Religious organizations benefit the public welfare. A refusal exists to second-guess legitimately held religious beliefs. 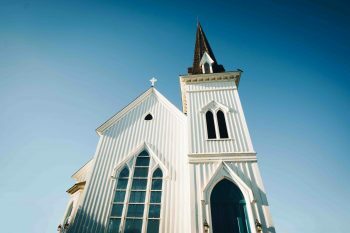 If you are part of a religious congregation that is subject to discriminatory zoning laws, you should not hesitate to obtain the assistance of an experienced zoning law attorney. The attorneys at Resnick Law are also prepared to help individuals whose rights have been violated under RLUIPA. Contact our law office today to schedule an initial free case evaluation.